Overhead at the town hall meeting, sentenced, investigative fees, “fake” FCPA news, fairly obvious, hook-line-and-sinker, fore, pardon me for being a stickler, ISO37001 related, and purely speculative and not credible. Guilty plea, scrutiny alerts, absurd and remarkable, and Caldwell to private practice. It’s all here in the Friday roundup. As highlighted in this January post, the DOJ announced Foreign Corrupt Practices Act, and related charges, against four individuals for their roles in a scheme to pay $2.5 million in bribes to facilitate the $800 million sale of a commercial building in Vietnam to a Middle Eastern sovereign wealth fund. This previous post highlighted the DOJ’s recent $11.2 million declination with disgorgement and forfeiture against Linde for nearly decade-old conduct of an acquired entity. 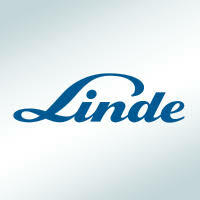 Nearly all decisions to voluntary disclose should be questioned (see this article for the reasons why), but Linde’s decision to voluntarily disclose should seriously be questioned.